Do your students need challenging math activities? Do you want to engage your students over Thanksgiving break? With puzzles and activities that review 4th grade skills. 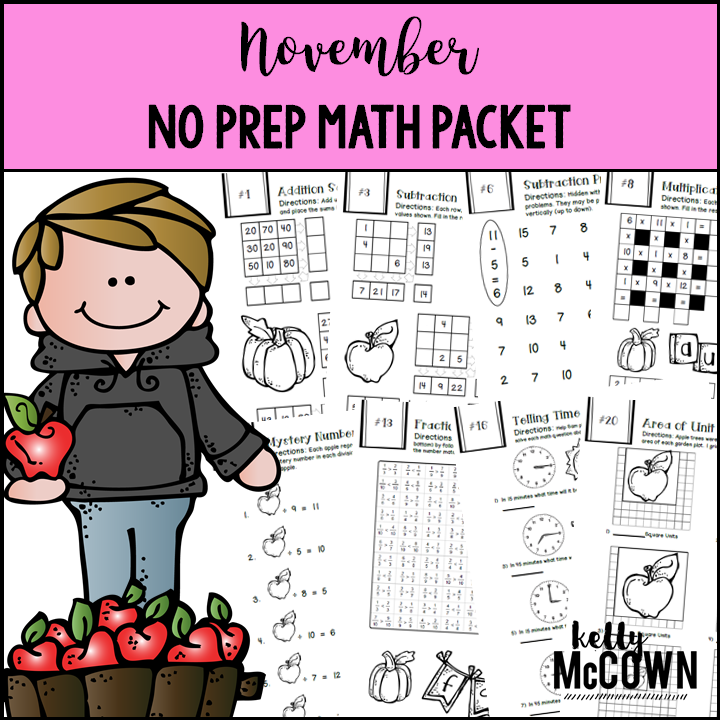 It also gives students fun coloring, puzzles, and problem solving. "Awesome resource!" "This is a great review of math skills from years past for my 5th graders that need some reinforcement. They are able to work on it and complete it independently, which gives them that awesome feeling of success too, so thank you!" "Love it!" "I can't wait to use this." 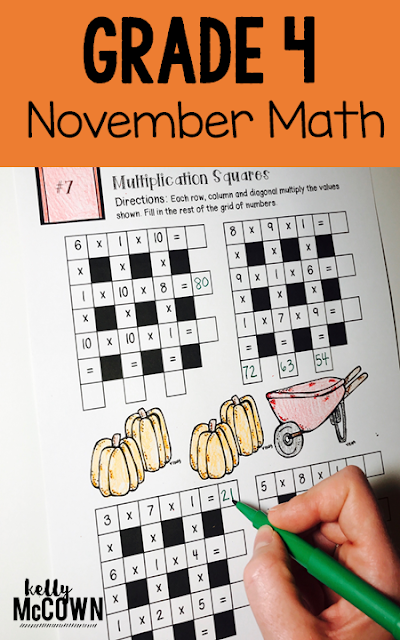 Your students will enjoy completing all the November math puzzles too. Engaging students in math activities helps strengthen their fluency and enjoy the process.